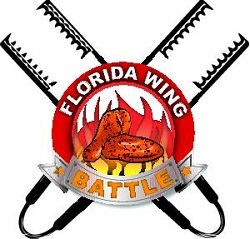 Details: The Florida Wing Battle includes the Dessert Battle. Each Battle with include Grill Master Chefs and Pastry Chefs. 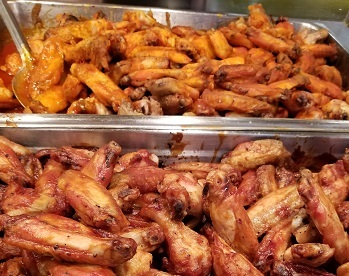 We are scouting Florida and will hang-pick a team of the Best Chefs who are adventurous at creating the "best wing recipes" and "best dessert recipes" as preparations for the Florida Wing Battle, A Blazing Affair! and Dessert Battle, A Sweet Affair! makes its debut. Want to live in downtown Boca Raton FL in luxury rental apartments that are just minutes from the beach, fine dining, exquisite shopping, and movie theaters? Then look no further! The Heritage at Boca Raton are your luxury Boca Raton Apartments that offer eye-catching 1 Bedroom, 2 Bedroom, 3 Bedroom and Studio Apartment living that HAS a spectacular location that just can't be beat! Did we mention if you move in you get 3 Months FREE? GBS The Beauty Store, located in West Boca, Boca Raton, Fort Lauderdale, Aventura, Coral Gables and Pinecrest carries a variety of beauty supplies including beauty salon supplies, manicure supplies, hair salon supplies, cosmetics, skin care, nail and hair care products. Select GBS locations have in-store salons where clients can stop in for a quick cut and color or consult with a stylist about the best hair supplies on the market. Stop in today at this beauty supply store and check out their 10% in-store discounts! Top quality, up-to-the-minute treatments and therapies at affordable prices, Spa S'criage will give the rejuvenation day you deserve. With services ranging from specialized treatments and therapies to permanent make-up, Spa S'criage gift certificates are the gift that could do no wrong! Bringing a high-end quality spa right to your neighborhood, Spa S'criage can be found at the quaint Waterway Shoppes in Parkland. This Coral Springs Spa is the perfect gift for your loved ones. Welcome to PayZins-Restaurant and Bar. You won’t want to wait for payday to visit the newly opened PayZins Restaurant and Bar located on University Drive (just one block south of Sample Road). All of PayZins entrees include an exquisite salad bar with an abundance of fresh selections. Save room for delectable desserts that include wild berry charlotte, giant carrot cake, and chocolate lava cake with a White Godiva liquor center. Dinner is served from 5 PM - 11 PM, Sun – Wednesday and from 5 PM - 12 PM, Thur - Saturday (kids menu available). An early evening menu is available from 5 PM - 6:30 PM daily featuring 2 select entrees for $25 that includes salad bar. 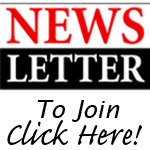 Coral Springs CPA Firm was established in 1992. Joel Levy, CPA has been serving South Florida since relocating in 1979. His experience encompasses both public and private sectors. Levy & Associates Accounting CPA Firms main office is located in Boca Raton. Mr. Levy established his own Certified Public Accounting Firm earning his Masters of Science degree in Taxation Joel has continued to enhance his fields of expertise. Providing his clients with a broad range of services. The partners bring a wealth of knowledge from their experience working for private businesses, managing tax and accounting practices and “big four” accounting experience. With their two convenient locations, one in Boca Raton and the other in Weston, you can now look and feel your best no matter where you are! Green Wave Body Waxing is your exclusive South Florida body waxing center, where you will have the best epilatory experience ever. Green Wave Body Waxing also offers Laser Hair Removal and much more!! Gift Certificates available! Bagel Bagel Cafe is celebrating its 2 year anniversary and want to pass savings on to you. On Wednesday, November 18th everything in the Cafe is 50% off. Located in Coconut Creek Shopping Center, this fantastic bagel company offers a scrumptious variety of soups, salads, hot and cold sandwiches and wraps perfect for breakfast, lunch, or for a delicious snack! Coral Springs is a master planned community- the entire layout of the community as well as building appearances is controlled by the homebuilding firm WCI Communities. As a result of the planned nature of the community, its appearance is unique, eschewing tall skyskrapers in favor of a small town family friendly atmosphere. 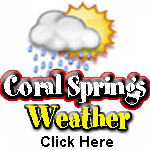 The crime rate is extremely low in Coral Springs, and Money Magazine called it the 27th best city in the United States. 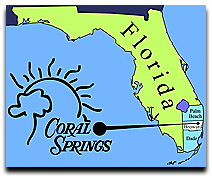 Coral Springs has a population of 126,875 and a surface area of 23.93 square miles.